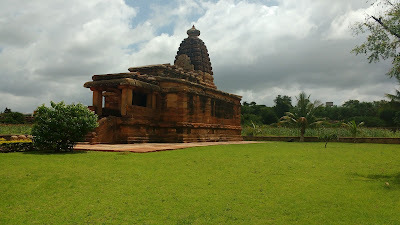 This temple, located in the main complex, is the most important and one the most visually appealing monuments at Aihole. 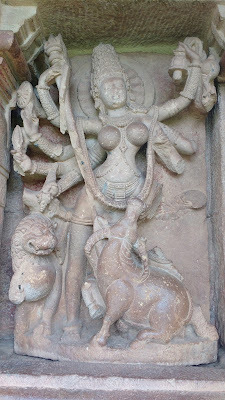 The temple - contrary to what the name sounds like - has nothing to do with the Goddess Durga. 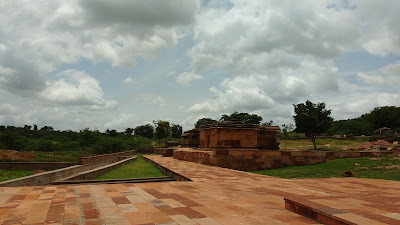 The name is derived from its proximity to the erstwhile Aihole Fort (Fort = Durg in Kannada and Marathi). 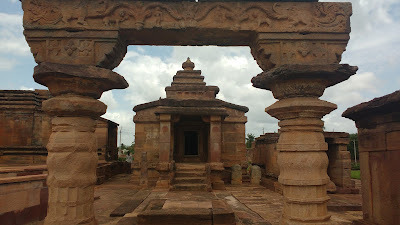 The temple has a unique elliptical plan (apsidal) and is immensely beautiful with carvings along the external pillars and the intervening walls. 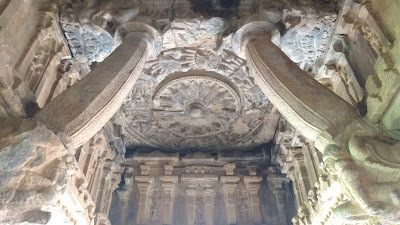 The ceiling is supported by beautiful arches - a technique redeployed at the Badami caves. The ceiling features impressive artistry too. 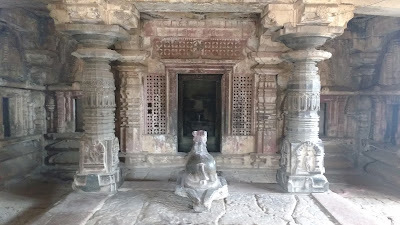 The main sanctum is enveloped by a closed ambulatory path which is connected to the inner hall. 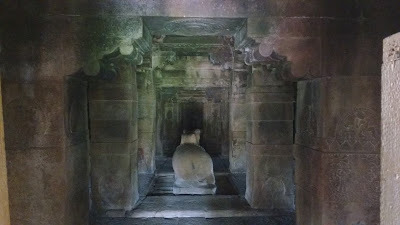 The inner hall is surrounded by an outer ambulatory path along the pillars. 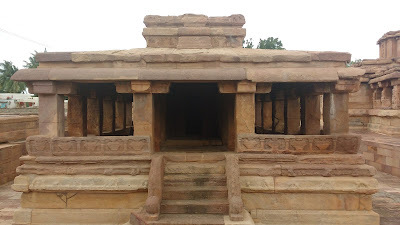 The arrangement of the external pillars reminded me of pictures of the Indian Parliament building in New Delhi. 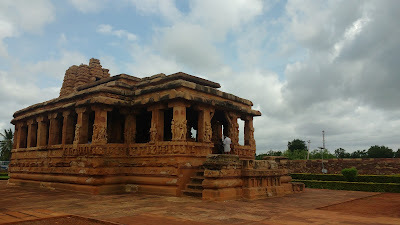 This is known to be one of the oldest temples at Aihole. 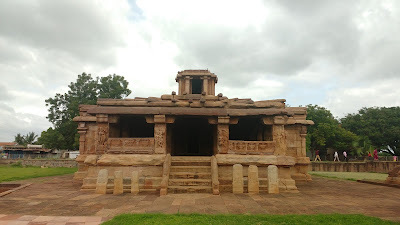 The temple has a simple square plan with a small cuboid room-like spire on the upper storey. 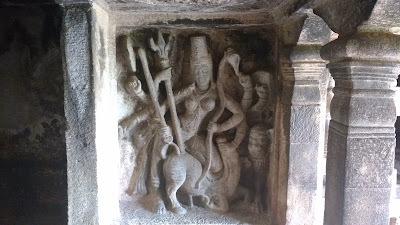 The temple - originally worshiping Shiva - was taken up by a certain Genera Lad Khan as residence, thus giving it the present name. 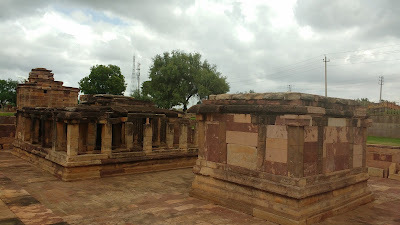 This temple is also located in the main complex. 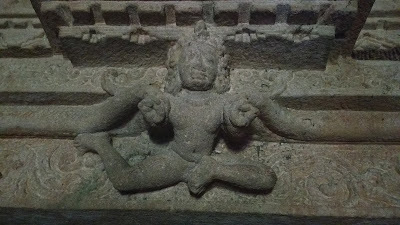 Other monuments inside the main complex include the ASI museum (and washroom), a step-well of minor artistry and other temples - Garudagudi and Suryanarayangudi. The ASI has done a very peculiar job of erecting information plates here. 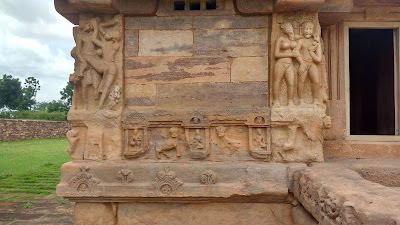 The ones which bear the actual temple information are located near the far wall of the complex, though in line with the concerned monument. 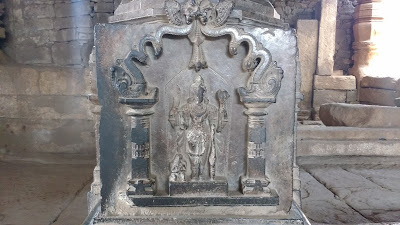 The plates close to the monument, however, bear the standard mark that the monument is protected. ASI and common sense rarely mingle. 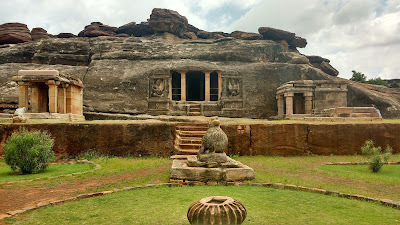 This bunch of monuments is located opposite the main complex. 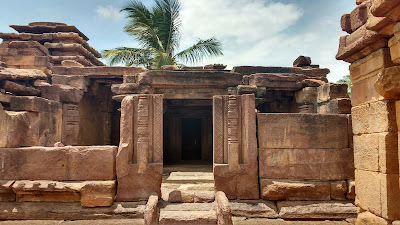 The name literally means 'fisherman's temple'. 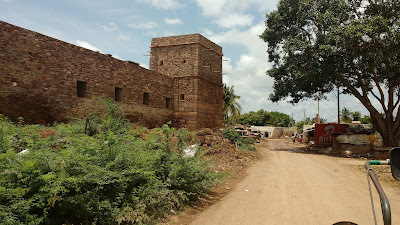 The name is derived from the earlier settlement of fishermen in this area. The monuments here are very simple. 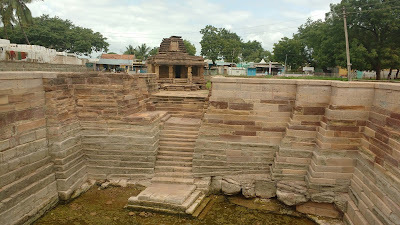 This complex has one intricately done shivalaya, one small shrine and one step-well. 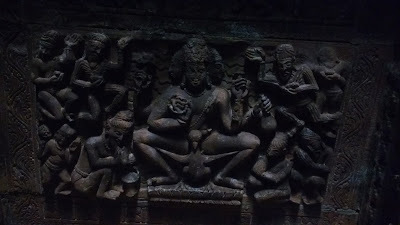 The step-well is mostly inornate, but features some scenes from the daily lives of the people. 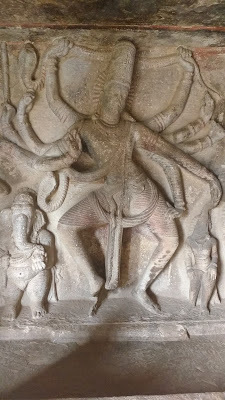 This one again is one of the signature pieces of Aihole and a direct precursor of the ones at Badami. 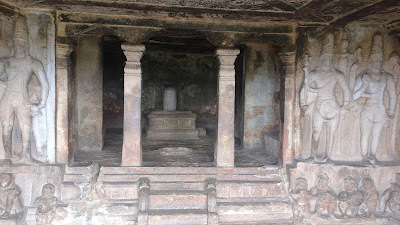 The central cave has a large shivling with the surrounding walls decorated by shaiva sculptures. 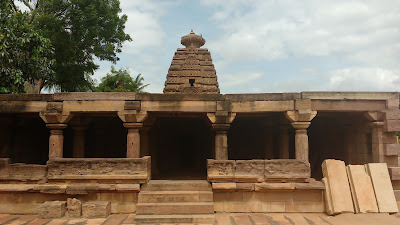 The complex is a set of five shrines and a stepped tank. 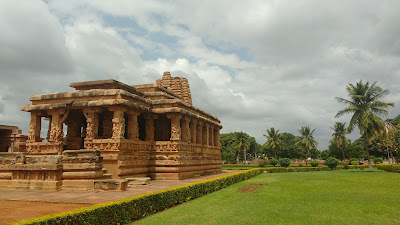 The main Mallikarjuna Temple is a simple yet elegant structure. 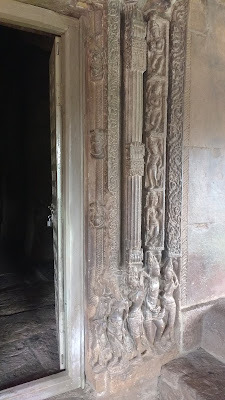 The entrance is between two columns - probably of an erstwhile gate. 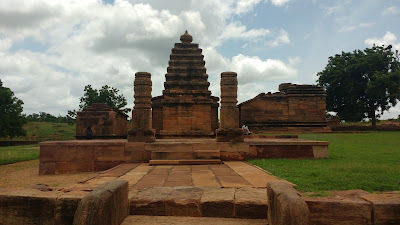 The other main monuments here are the white pagoda and the black pagoda. 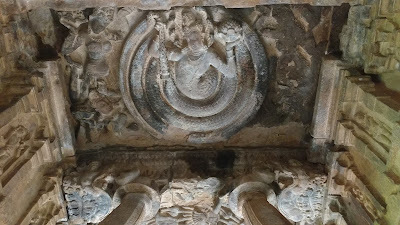 This complex has two monuments - a temple and an inornate math. 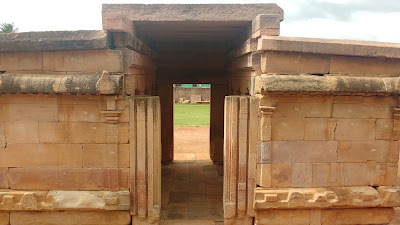 Aihole has so many small complexes in the middle of residential zones that many are often missed out. 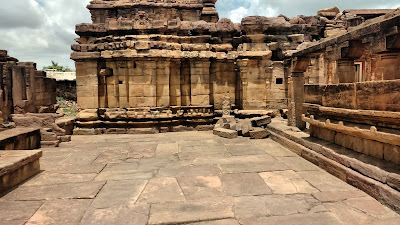 We saw one such complex and set out to explore with the help of a local kid as a guide. 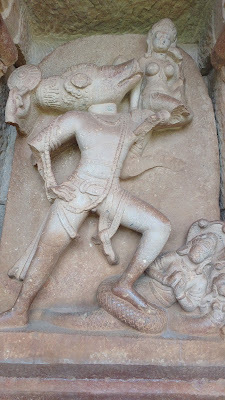 The temples were a part of the Ganga complex (if I recall correctly) and some of them were in active worship. 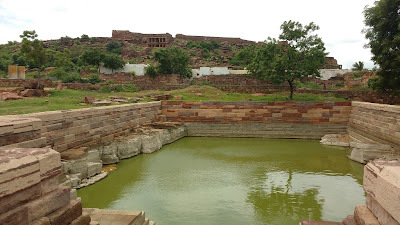 Aihole is located about 33km east of Badami and 11km east of Pattadakal. 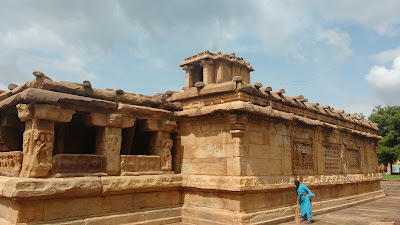 Local bus service runs from Badami at intervals of one hour or more. 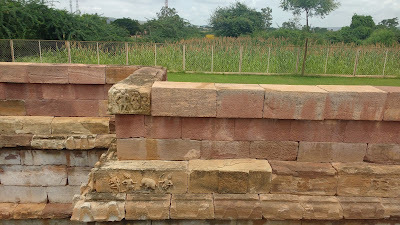 The monuments are scattered throughout the village and a rickshaw might be a good option to cover the place. 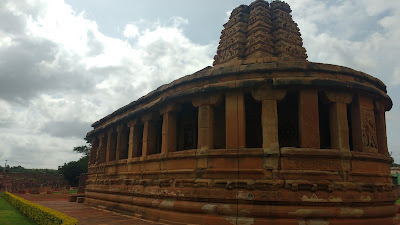 We, like most tourists, hired a rickshaw from Badami to cover both Pattadakal and Aihole. 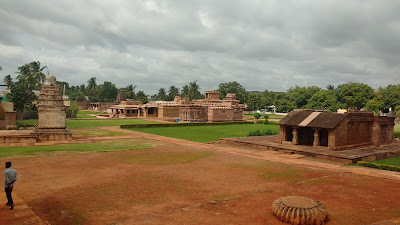 We did not cover Aihole in its entirety. 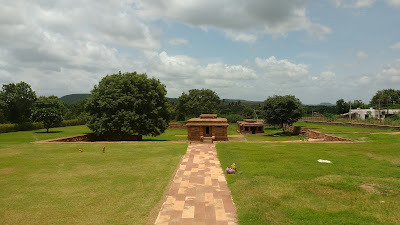 Some monuments - like the Jain temples - are located up the hill, while a lot others are located in the middle of a cluster of houses. The lack of food and accommodation options also makes it difficult to spend a lot of time here. 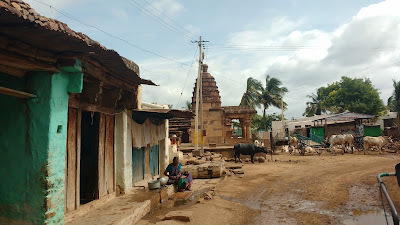 All streets have temple views here. This small village is as yet undeveloped and might be leaking quite a bit of its tourism potential. 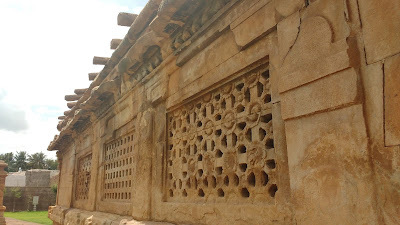 Surprisingly, the development here should have been a guaranteed aspect considering the proximity of important sites like Badami and Pattadakal. Lets hope for the best.